Patient empowerment delivers health and social care services that enable people to gain more control of their healthcare needs. With the advancement of sensor technologies, it is increasingly possible to monitor people’s health with dedicated wearable sensors. The consistent measurements from a variety of wearable sensors imply that a huge amount of data may be exploited to monitor and predict people’s health using medically proven models. 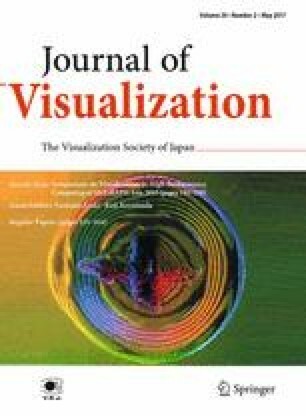 In the process of health data representation and analysis, visualisation can be employed to promote data analysis and knowledge discovery via mature visual paradigms and well-designed user interactions. In this paper, we introduce the role of visualisation for individualised health monitoring and risk management in the background of a European Commission funded project, which aims to provide self-management of cardiorenal diseases with the assistance of wearable sensors. The visualisation components of health monitoring, risk model exploration, and risk analysis are presented to achieve personalised health and risk monitoring and to promote people’s wellbeing. It allows the patients not only to view existing risks, but also to gain awareness of the right pathway to change their lifestyles in order to reduce potential health risks. The research is supported by the FP7 Programme of the European Commission within projects CARRE [FP7-ICT-611140] and Dr. Inventor [FP7-ICT-611383]. We would like to thank the European Commission for the funding and thank the project officers and reviewers for their indispensable support for both of the projects.